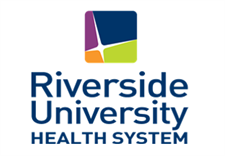 Undergraduate Medical Education at the School of Medicine, UC Riverside invites applications for three positions at either the Assistant (LPSOE-Lecturer w/Potential for Security of Employment), Associate (LSOE-Lecturer with Security of Employment) or full Professor of Teaching rank (Sr. LSOE), in Internal Medicine, beginning July 1, 2019. Security of employment is similar to tenure. Level of appointment is dependent on qualifications. Candidates with exceptional and appropriate teaching experience may be qualified for appointment at the Associate or full Professor of Teaching level. Individuals occupying these positions are full-fledged members of the Academic Senate whose expertise and responsibilities center on education and dedicated analysis and improvement of teaching. Candidates are evaluated on their teaching, service and professional scholarly accomplishments. A Ph.D. or M.D. and demonstrated excellence in teaching and teaching pedagogy are required. Experience with curriculum development, innovation in teaching, medical education research and educational grant writing is highly desirable. Salary will be competitive and commensurate with qualifications and experience. · Experience in Cadaver-based laboratory dissections for medical students. · Previous teaching experience in human anatomy and histopathology lectures and laboratories, including cadaver dissection, at the medical school level is required. Appointment at the Associate Professor level or above requires a minimum of six years of extensive responsibility in such courses. · Depending on qualifications, duties may include classroom lecture and lab instruction in Human Gross Anatomy and Neurobiology, Surgical/Applied Anatomy, Histology, Histopathology, during all four quarters of the first year of medical school. Also depending on qualifications, the incumbent may be responsible for identifying community-based clinical faculty to supplement teaching needs within these courses, as needed. In addition, the successful candidates are expected to provide instructional pedagogy development and improvement, textbook evaluation and selection, TA training and oversight, development of student evaluation mechanisms, student advising, and design of teaching laboratory experiments. The incumbents will be responsible for proper management/supervision, maintenance, and security of teaching laboratories and facilities that are designated as being under their auspices, and will oversee teaching scheduling in their area, provide input on curriculum, teaching assignments, grading, and evaluations. The candidates are further expected to participate in the LCME reaccreditation process, education-related committees, conferences and workshops, student recruitment and outreach, and to prepare and submit extramural instructional and educational grant proposals. Publication of pedagogical innovation and/or assessment methods in high-quality peer-reviewed journals will be encouraged and will contribute to advancement. UCR is a world-class research university with an exceptionally diverse undergraduate student body. Its mission is explicitly linked to providing routes to educational success for underrepresented and first-generation college students. A commitment to this mission is a preferred qualification. Advancement through the Teaching Professor ranks at the University of California is through a series of structured, merit-based evaluations, occurring every 2-3 years, each of which includes substantial peer input. Initial review of applications will begin on May 15, 2019, and applicants will be considered until the positions are filled. Please submit a cover letter with a description of your background in education and your academic experience, a curriculum vitae, a statement of teaching philosophy, your most recent 3 years of teaching evaluations, a teaching portfolio (e.g. class plans, lab materials, online supplements, etc. ), and a statement of contributions to diversity. Applicants for the Assistant rank should submit the names and contact information of at least 3 references and applicants for the Associate and full rank should submit the names and contact information of at least 6 references so that we can solicit letters. For any inquiries, please contact the Search Committee Chair, Dr. Christian Lytle at christian.lytle@medsch.ucr.edu. The University of California, Riverside is centrally located within the Southern California area and situated in an historic citrus growing area surrounded by mountain ranges. Riverside is an hour away from ski slopes, surfing, or hiking in mountain wilderness or desert environments, and housing in the area is very affordable. The campus is located in close proximity to a host of high profile universities, research institutes, and biotech industries in Southern California.